I love the convenience of popping a refrigerated meal into the oven and enjoying a good dinner with little work, but having the same thing every week gets old very quickly. 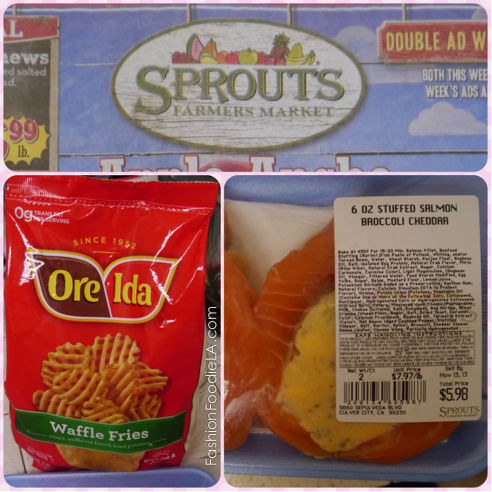 I went to Sprouts and snagged a package of their Stuffed Salmon Filets. The ones I grabbed are stuffed with broccoli and cheddar cheese. I love a salad as my side dish. Sometimes, I crave a simple salad. 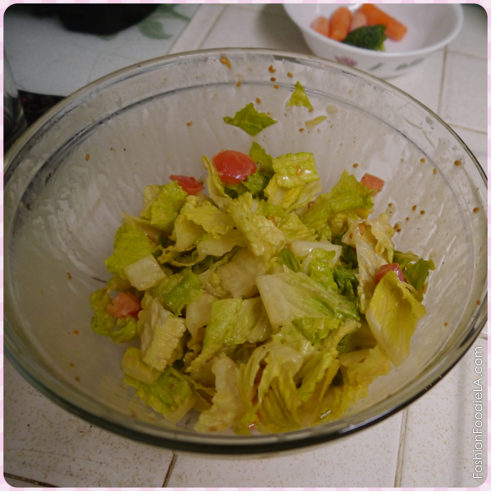 Because this one had dressing all over it, I had it in a bowl on the side. Stuffed Salmon all done! 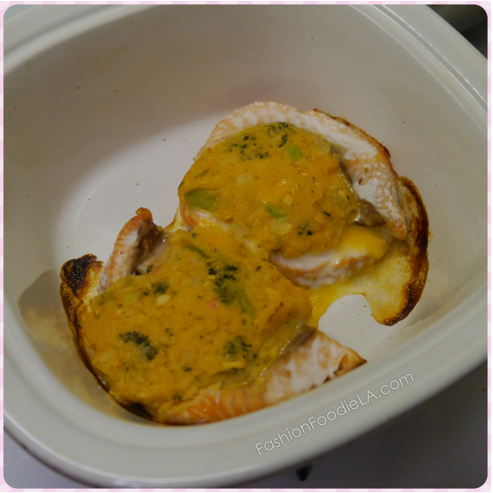 The package came with 2 stuffed salmon pieces and it only took about 30 minutes to bake in the oven. Super easy! I also made the Ore-Ida waffle fries in the oven. I love the super crispy ones! Overall, this dinner was easy and delicious. Just up my ally! 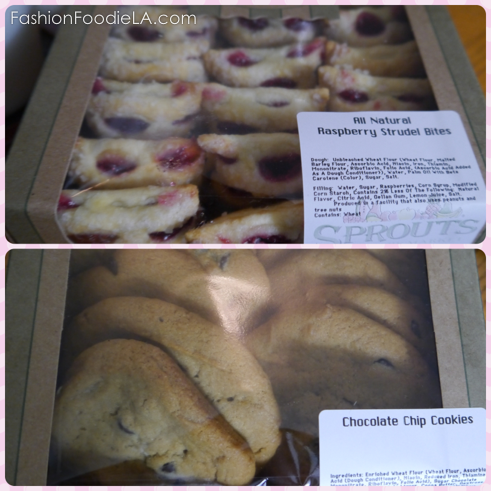 Sprouts Chocolate Chip Cookies, and Peppermint Tea. 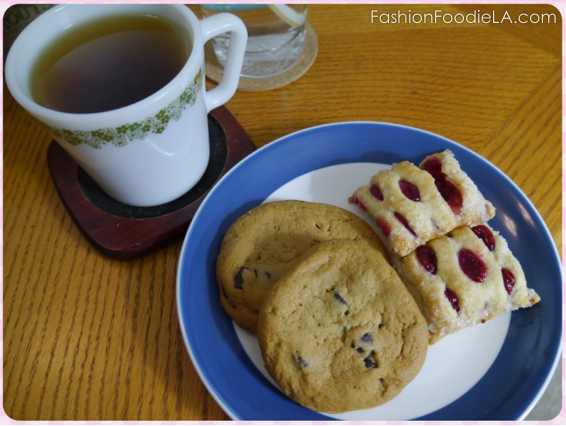 Overall, the cookies were soft, but firm and the raspberry strudel bites were fresh and addicting! Paired with the tea, it was a perfect end to an easy dinner. Let's get on with the review! Did it look like the photo on the packaging when you were done? No photo provided, but it stayed together and did not fall apart when baked. Were the instructions easy to follow? Yes! 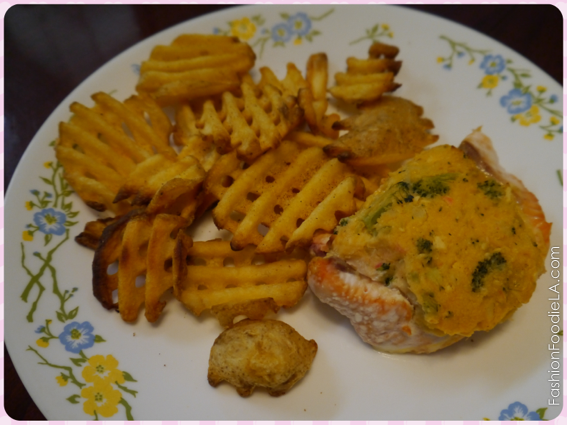 This was an easy meal to make because you only need an oven safe dish to bake the fish and a cookie sheet to make the waffle fries on. What did you particularly like or dislike about the meal? It was very easy! I loved the fact that all I needed to do was preheat the oven and put the food onto oven safe dishes! Recipe alterations or any changes you made: None. As usual, I recommend a salad or a veggie to complete the meal. Any other side for a starch works. This would be great with mac and cheese or scalloped potatoes instead of fries as a side. Would you make it again? Yes. Easy, delicious, minimal cleanup - this is a home run! In the comments below, let me know what you would like me to review next! You can also ask me any other questions you have about this meal.